Throw away your printed books because PricePoint Mobile puts flat rate pricing onto the iPad to write service invoices! You can record payments on the spot, make customer changes, capture both the customer’s signature authorizing work and upon satisfactory completion. iPad data is transmitted to the PricePoint desktop software via email so managers will see sales immediately! Users create their own flat rate system with their PricePoint desktop software or may purchase PricePoint Advantage, a ready made system created by a flat rate expert. Close integration with PricePoint scheduling allows a dispatcher to email appointments to technicians in the field. 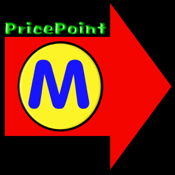 PricePoint Mobile is set up and activated using the PricePoint Device Desktop via iTunes. Requires PricePoint desktop software, activation fee and subscription service.